Dead Sea Salt contains ten times more minerals than regular sea salt. These minerals cleanse, detoxify and restore the skin and muscles. Dead Sea Salt is rich in Vitamin A, C, D, E, B12, as well as over 80 minerals. Regular salt has 90% sodium. Dead Sea Salt has 10% sodium and 90% minerals. Dead Sea Salt is from the Dead Sea area located in Israel. It is famous for its health promoting environment for thousands of years. 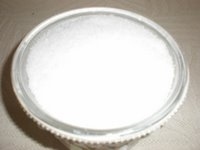 It contains unique solar irradiation, increased oxygen density, high density salt composition. These properties allow for healing, beautifying, and rejuvenating. This unique body of water is a geological phenomenon over three million years. The composition of the Dead Sea is considered unique, containing the highest levels of magnesium, calcium, silica, sodium, and potassium in comparison to any other body of salt water in the world. It is known for treating and preventing various diseases such as psoriasis, acne, and rheumatism.